Want to watch those amusing videos from Android phone on the large-screen iPad? Want to enjoy the Hollywood blockbusters on iPad with high resolution? Or want to play those interesting Android games on your iPad device? Why not simply transfer files from Android to iPad? In this case, the all-in-one Phone Transfer software is highly recommended to your. With this software, you are free to sync Android within iPad without any restrictions. This software is fully compatible with all files including contacts, messages, videos, photos, apps and many more, as well as different devices of Android, iOS and Symbian operating systems. 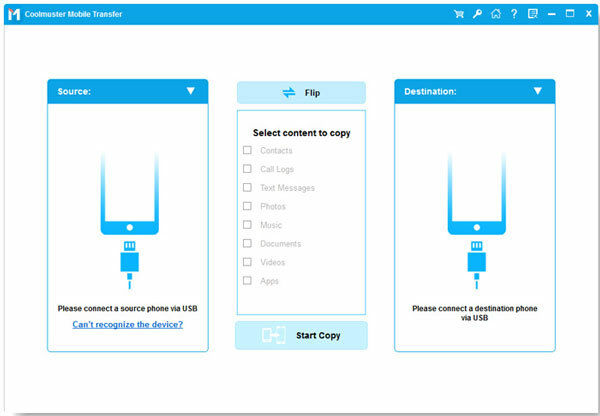 So you can freely transfer any files from Android to iPad, from iPad to Android or between any other devices as long as they are running Android, iOS or Symbian. Moreover, this software boasts of a simple user guide, which enables you to sync Android with iPad within simple steps. Now want to give it a try by yourself? You can actually download the right version of this software and then give it a try by yourself! This software surely won't let you down! Step 1. To start with, open the installed software on the computer and then link two devices to the computer via the USB cord. Then, choose the Phone to Phone Transfer mode and hit the Start option to go on. Step 2. This software will then detect your device and scan for all files saved on the two devices. You can then enter the right file folder to preview more detailed file information. While previewing, select the wanted files under the corresponding device column. Step 3. Then click on the right or left arrow direction to sync Android with iPad. On the pop-up window, hit the OK option to continue the process. Then, just wait patiently for the process to get completed within a little while. 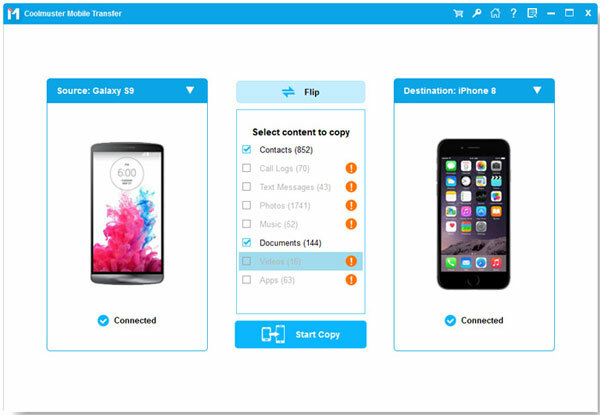 This professional Phone Transfer software actually makes it as easy as pie to transfer files from Android to iPad. So if this is what you are looking for, why are still hesitating? Just get this all-in-one program as needed!